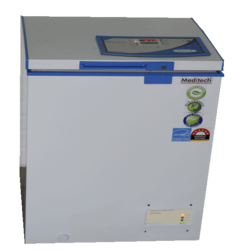 Meditech Solar Freezer are rugged and designed for extreme tropic climatic conditions. Save on costs with Meditech high efficiency freezers . It has exceptionally low energy consumption, requiring smaller, less expensive power systems and low operating expense. High quality construction provides excellent reliability and long life. Why Meditech Solar RefrigeratorDiscover Technology, Quality, Reliability and RepeatabilityMeditech Solar Refrigerator are rugged and designed for extreme tropic climatic conditions. Save on costs with Meditech high efficiency refrigerators and freezers . 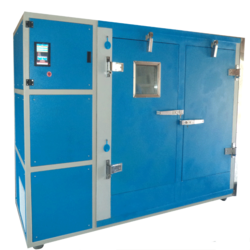 It has exceptionally low energy consumption, requiring smaller, less expensive power systems and low operating expense. High quality construction provides excellent reliability and long life. 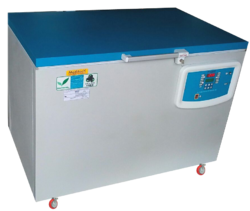 Being one of the leading manufacturers and suppliers of this Solar Blood Bank Refrigerator, we produce it using high quality raw materials and send it for a number of quality checks, in order to ensure that the product is of the desired level of quality. This product is powered using a solar panel and is quite suitable for outdoor use. 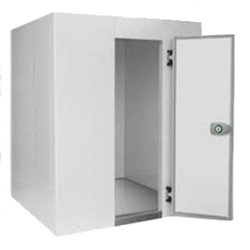 The cabinet of solar blood bank refrigerator is insulated with high density CFC free Poly Urethane Foam 120 mm thick insulation. Meditech is the largest manufacturer and exporter of solar walk in cooler in India. Meditech Solar Freezer are rugged and designed for extreme tropic climatic conditions. Save on costs with Meditech high efficiency walk in freezers . It has exceptionally low energy consumption, requiring smaller, less expensive power systems and low operating expense. High quality construction provides excellent reliability and long life. Looking for “Solar Powered Refrigerator”?